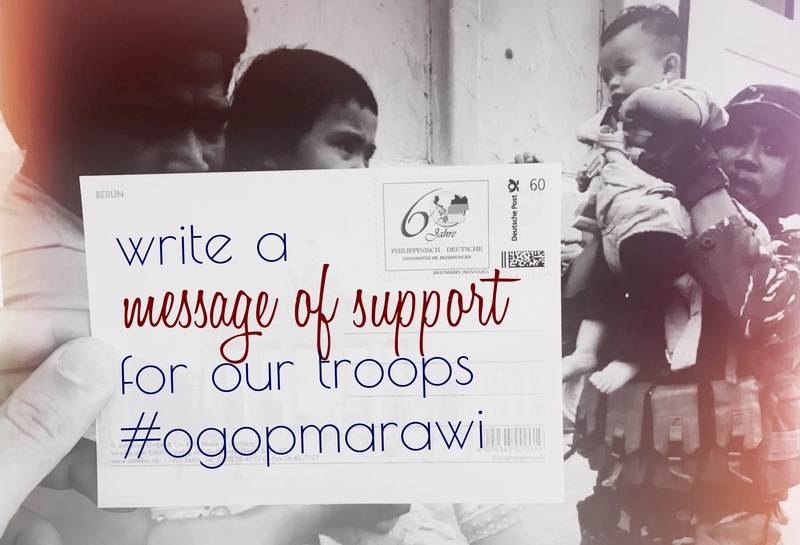 The Philippine Embassy in Berlin, in solidarity with other Philippine Foreign Service Posts and the Department of Foreign Affairs, launched a letter-writing campaign encouraging Filipinos living in Germany to send messages of support for our soldiers in Marawi. On its website, the Embassy said that German-based Filipinos can now send postcards or letters expressing moral support to our soldiers in the frontline. 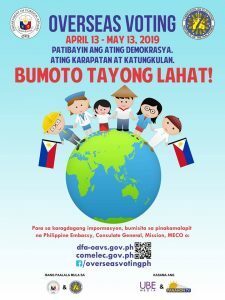 These messages may be sent to the Embassy, which in turn will be delivered to the Philippines through the Department of Foreign Affairs. Photo, Left: Consul Adrian Cruz (standing, right) poses with Mrs. Eva Girke (seated right) and Mr. and Mrs. Gregor and Maria Lynette Toennies holding cards bearing messages of support for our Filipino troops. Right Photo: Outpouring of support from appreciative Filipinos in Germany.